Everything changes but you, as Take That once sang. Much has changed between the last F1 season and this, as the sport starts but its latest new formula. Yet one thing appears to be staying exactly as before - that Mercedes is the team on top. A fundamental rule change meant a reset. Added to this, after three years of dominance finally the first cracks on the Merc edifice became apparent between seasons. Not only did its new world champion driver Nico Rosberg walk but so - and perhaps more traumatically - did its technical architect Paddy Lowe. What's more murmurs could be heard that the latter move owed to boss Toto Wolff seeking to encroach onto Lowe's territory. But really Mercedes was set fair nevertheless. Part of the reason is that for all that people reminisce about 2009, Brawn and all that, it was an exception. The rule instead is for things to stay much as they are even with a big regulation shift, as the big guys are best placed to adapt. And perhaps the front-runner is best placed of all. "When you're not trying to play catch up," said Craig Scarborough recently, "you're really free then to divert so much more resources into what the next step forwards is." Yet Merc was set fair for more immediate reasons too. "They've already got the best power unit in F1," opined Ted Kravitz on testing's opening day, "all they needed to do was not mess up the design of the car". Indeed. And the launch of the W08 confirmed that the team had made no such boo boo. Far from it. "Not only have they not messed up the design of the car," Kravitz continued, "it has some of the most advanced and detailed aerodynamics in this pit lane." Scarborough concurred. "They've really re-thought every aspect of the car front to rear," he observed. "It's going to take us weeks to unpick every little bit and piece that's been done to that car...it looks quite ominous." Matt Somerfield concluded that the Brackley team "does not look to be giving up any of its advantage any time soon." 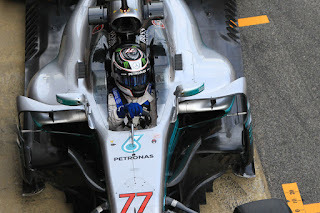 Then the opening day of testing dashed any thoughts that were still lingering that Merc was about to be usurped. As most others flailed the silver car got straight down to business, circulating the Montmelo track like a clockwork toy. It was clearly atop the mileage chart, looked the best thing on-track visually, and you struggled to find anyone in the paddock that didn't reckon it was ahead. An engine upgrade awaits for Melbourne too. There seemed something terribly familiar about it all. 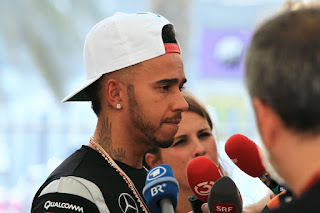 Lewis Hamilton even allowed himself some atypical-for-testing public bombast: "our car looks a thousand times better than everyone else's" he said. Few were arguing however. Not everything changes. Mercedes remains the team to beat. He won't be lacking for motivation this year. It's clear that Lewis Hamilton considers the world drivers' title his right, particularly when he has access to a table-topping Merc. Then there is the context. As Toto Wolff said in recent weeks, inimitably, Lewis is "digested by losing out to Nico [Rosberg]" to the crown last year. "The only thing he has on his mind is trying to fight back...He's certainly very motivated". In a sense Lewis also is correct to think in such a way. The best car allied to his extraordinary pace and skills, and particularly this time with a team mate getting his feet under the table, should add up to the world championship. He also certainly should have won the title last year inasmuch that even a minor re-tilting of his many mechanical gremlins against those of his team mate Rosberg would with it have tilted the championship his way. But then again so would have elimination of the niggling, maddening, off days and errors that peppered his 2016 scorecard. And with Lewis now aged 32 the probability grows that it's evidence of flaws rather than creases to be ironed out in his development. Which likely brings us to the crux. Lewis Hamilton is most likely to win the 2017 drivers' championship. But perhaps among the range of (admittedly remote) means by which he might be stopped in this, chief among them also is Lewis Hamilton. 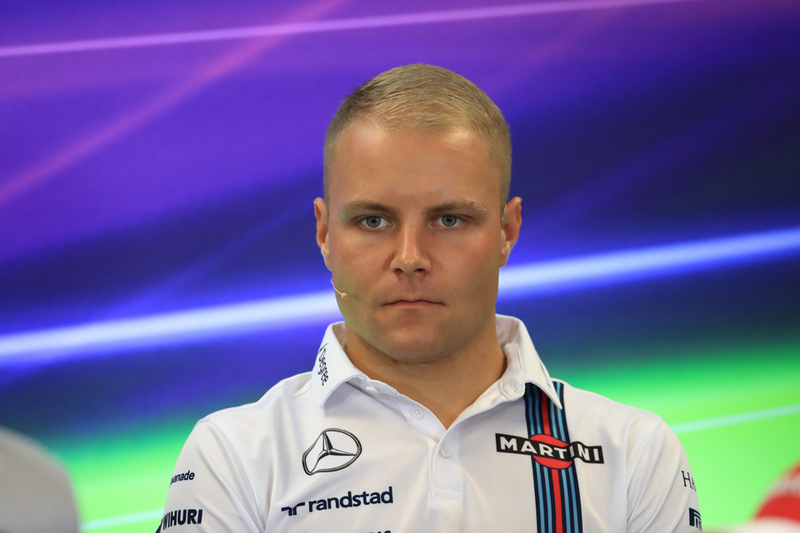 Valtteri Bottas knows more than most about the fickleness that stalks F1. Just two years back most thought him a world champion in waiting. In the relatively short period since however his reputation has stagnated. Some reckoned that reflected little other than his Williams mount drifting from the front-running pace and Bottas's reputation suffering cruelly by association. Yet even so when the Finn's fortune suddenly swung back to get the prize Mercedes seat for this campaign, some remained conspicuously underwhelmed. 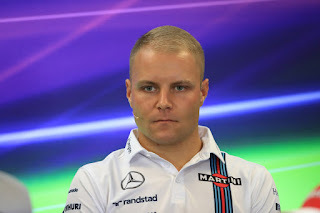 Bottas though has much in his armoury. He is quick particularly on a qualifying lap, smart, and can be counted on to bag points consistently. Observers consider his touch on the tyres something of wonder. Then again precisely how well he'll do is largely unknowable at this point. For one thing even with a team mate of Hamilton's quality the margins between perceived success and failure are likely to be in decimal points rather than whole numbers. And as Martin Brundle noted it may not simply be a matter of talent but also of temperament - in other words how will the Finn adapt to a team where victory is expected? He also has but a one year contract and we've already outlined how paddock minds can be made up quickly (and not always fairly). So he must deliver - which likely will mean at least doing nearly as well as the guy he's replaced - and right away. But as Mark Gallagher pointed out it's a very nice problem for Bottas to have, and one that just about anyone on the grid would seize gladly. One way or another, this campaign will answer a lot of questions about him.